Babel Restaurant Lebanon, last updated on 30 March 2017 , is listed under Lebanese Restaurants category. It was added to Lebanon Directory Rinnoo.net on 18 Febraury 2017 . Pages of Babel Restaurant Lebanon on Rinnoo.net have achieved 18,313 views till now. When first thinking of Babel, the concept was to bear resemblance to the its surrounding culture, molding our know how to adapt and integrate the habits of the culture with our culture. 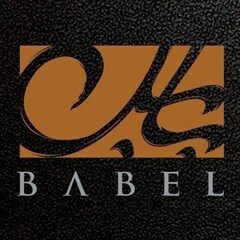 When born, Babel was a place identified by authenticity, uniqueness and creativity. Perfect and progressive were our standard in while designing the journey, while remaining well rooted in our culture. Babel's journey is built based on attention to details, seeking perfection and that via sourcing the best Lebanese ingredients.